Looking to the corner of the Palazzo Vecchio, on the side near the Uffizi Gallery, carved into the wall is a simple, but evocative outline of a man's face. What looks like the scrawl of a passing vandal is actually the work of historic sculptor Michelangelo. However, despite the author's fame there are numerous stories surrounding the origin of this little piece of graffiti. One theory states that Michelangelo carved the face on a dare and even etched it in the stone with his back turned. 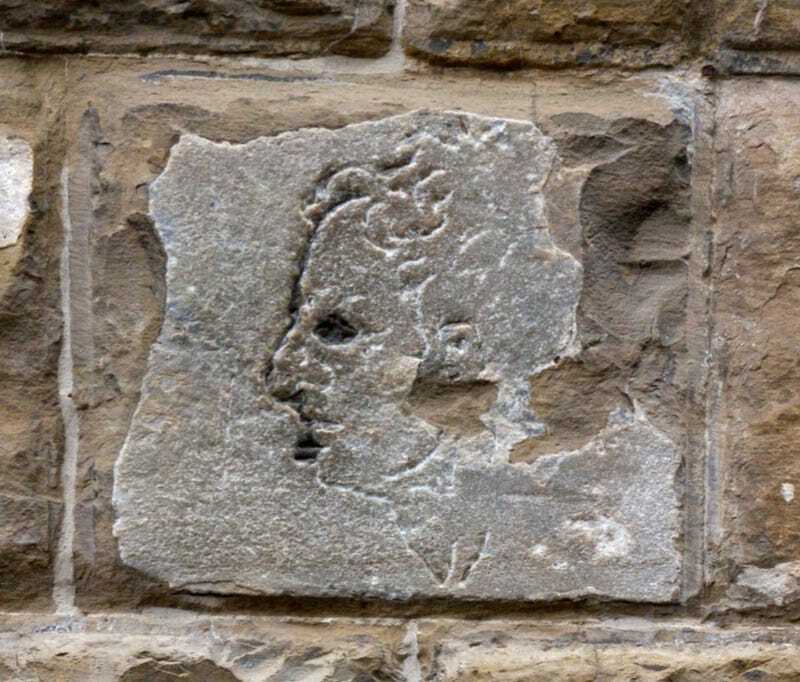 Others say that the artist was regularly caught in conversation with a notorious bore and one day carved the chatty man's likeness into the wall simply to pass the time. Still another version of the story states that Michelangelo witnessed an execution in the square and the face is that of the man on death row. No one is quite sure exactly why Michelangelo decided upon this bit of civil disobedience, but its very existence provides a bit of insight to the human side of an artist who is most often thought of as a stodgy classicist.